drdanachiropractor | There is no better time than now. Ice or heat? Which do you use when you have #pain or #tension? Watch our new video as Dr. Dana explains what to do! Ice and heat therapy to heal injuries and muscle tension. Use ice to heal acute injuries or pain for up to 3 days for 15 minutes every hour. After 3 days switch to a combination of heat and ice. For any chronic tension heat should be sufficient to relax the muscles! By Dr. Dana Laridaen, D.C. Need a Santa Monica Chiropractor? Consider seeing me for a chiropractic visit on Ocean Park Blvd. in Santa Monica. For more information visit our website and profile on Google+. Magnesium deficiency is present in nearly 80% of Americans, which is a scary fact when you realize magnesium plays an important part in the body’s most metabolically active organs such as the brain, heart, liver and kidney. The body needs a 1:1 ratio of calcium vs. magnesium to function correctly. Most multivitamins typically have less magnesium than the body actually requires. Unless you are eating whole, natural foods such as tofu, legumes, seeds and green leafy vegetables you are most likely not gettting enough magnesium from refined and processed foods. Calcium causes our muscles to contract and magnesium causes them to relax. This means an incorrect ratio of these two can cause your muscles to be tighter, go into spasm and are often the cause of those terrible “charlie horses” in the calves. Although calcium gets all the headlines, magnesium is far more important for many people. Low levels of magnesium in the diet and in your body increases susceptibility to a variety of diseases, including heart disease, high blood pressure, kidney stones, insomnia and menstrual cramps. Signs and symptoms of magnesium deficiency are fatigue, irritability, weakness, muscle cramps, problem in muscle contraction and predisposition to stress. It is recommended the average person consume 300-400mg daily of magnesium. 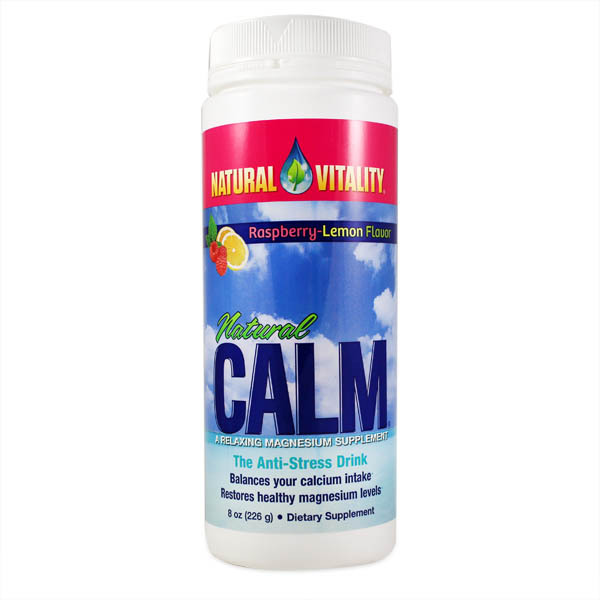 A supplement I highly recommend to people is CALM made by Natural Vitality. Its a powder form of magnesium that is put into water and ingested typically at the end of the day. It is not a sleep aid, however it does relax the body and sleep is often reported as being improved. Again, that is magnesium working in conjunction with calcium to calm and relax the muscles. All you need is 5 minutes to strengthen your ‎abs and build a stronger core. Take a look as I demonstrate 4 ‎exercises you can do at home! Lay flat on ground (or Bosu ball) and support your head with your hands. Lift one leg and reach your opposite elbow to your raised leg. The leg that is not lifted should be bent so foot is on the ground for support. Lower the leg and elbow. Repeat and do 15 seconds each side. Second Exercise – For the Obliques. Lay on one side, rest your arm in front of you and your other arm supporting the back of your head. Your legs should be stacked. At the same time, lift your upper body towards your legs, and your legs toward your upper body. Then release them both back down to the floor. Keep body in a straight line. Do 30 seconds on each side. Lay flat on your back, hands supporting the back of your head, legs lifted and perpendicular to the floor. Drop your legs down until hoovering over the floor, and then lift up to starting position. Drop your legs down to your right until hoovering, and then lift up to starting position. Drop your legs down to your left until hoovering, and the lift up to starting position. Do this repetition for 30 seconds. Make sure to keep your lower back on the floor. Lay flat on the on your back with your hands supporting the back of your head. Lift your shoulders off the ground to begin engaging the abs. Lift your legs until hoovering over the floor. Begin to flutter kick your feet above the floor. Kick them to about a 45 degree angle. Do for 30 seconds. If you can only do 15 seconds, pause and bring your knees to your chest with your shoulders still off the ground. Rest for 5 seconds and finish the seconds half. Do entire circuit twice to reach 5 minutes. If you feel pain in your back in any of these exercises, please stop to prevent injury. Feel free to consult with me on your form for any strengthening and/or stretching exercises. Need a Santa Monica Chiropractor? Consider a chiropractic visit to see me on Ocean Park Blvd. in Santa Monica. Cardio vs. Weights…Whats Best for Fat Loss? Read more about how Dr. Laridaen can guide you to better health and wellness as your Santa Monica Chiropractor. It has been questioned time and time again, what is the best thing to do for fat loss? I’ve heard, “I run every day” or “do the elliptical multiple times a week but I don’t seem to lose weight or change my body into what I’m looking for, what am I doing wrong?” Well, to be honest I had the same issue until I started seeing a personal trainer who let me know what I was doing wrong for the goals I had. The solution was even better than I had hoped. The idea is to spend less time in the gym doing cardio and more time doing weights and circuits. Strength training through circuit workouts and high intensity training works by building muscle and allows little to no rest between sets. By training with little to no rest breaks you are getting your body into cardio mode while building muscle, the best of both worlds! Muscle burns more calories than fat at rest, so for you to increase your metabolism and burn more calories while you sit at work all day, the answer is to build your muscles. 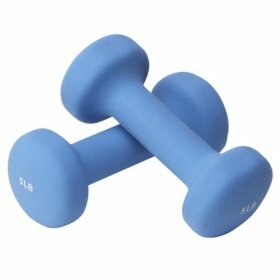 Strength training is an important component of any exercise routine that emphasizes fat loss. Now, we all know women don’t want to “bulk up” so don’t worry, you won’t! Women can build muscle which will be long and lean due to the low level of testosterone we have compared to men. Don’t be afraid to lift weights or do your regular cardio routine because you think you will gain weight. Switching your workout routine every few weeks is very important to confuse your muscles so they change. If you do the same thing every day, your body adapts to it and won’t change. If your workout no longer leaves you sore or tired, its time to change so you are actually benefiting from it instead of wasting your time. Don’t forget to supplement any great workout with a visit to your chiropractor! If your bones are misaligned, when you workout you may not be building your muscles symmetrically. Remember, if it doesn’t challenge you, it won’t change you. Get out there and start adding circuit workouts with weights to your routine. Exercise is important to keeping a strong and healthy body. The more we strengthen, the more we can prevent pain and injury. Here, I’ve demonstrated a few exercises you can do at home with a resistance band to build upper back strength. Fibrin rescues us whenever our bodies are injured. Fibrin, shaped like long threads, interlaces together to form a barrier over the site of injury. This barrier is critical for preventing wounds from deteriorating even more and allows the skin to become healthy again. Imagine you are cut, fibrin is what binds the wound back together to prevent further bleeding. Once the wound is healed, our body will naturally clean up the fibrin from the site. This clean up process uses proteolytic enzymes to get rid of the excess fibrin on the soft tissue. However, our bodies aren’t working in perfect conditions and such clean up is minimal. These tissues stiffen and form masses that interfere with our normal range of motion and function. This is when we begin to feel pain, inflammation or re-injure ourselves from the accumulation of fibrin tissues, also known as scar tissue. 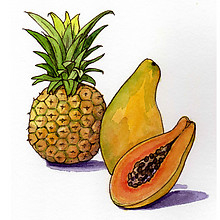 Luckily we can support the clean up process by increasing our intake of proteolytic enzymes. These enzymes break down fibrin masses, increase blood circulation, reduce inflammation and strengthen the immune system. Unfortunately, your regular diet alone won’t overcome the drop in natural enzyme production as you age and even the best naturally occurring proteolytic enzyme food sources are not a significant part of our normal diet. Our bodies naturally produce these enzymes yet when we eat predominantly processed foods and lack a diet rich in raw fruits and vegetables, or simply not chew food well, our bodies rarely have the ability to produce enough enzymes. Therefore, most people will benefit by supplementing their diet with these enzymes. My best recipe to conquer scar tissue is to take enzymes and use the foam roller (see blog post here). When you use these supplements in conjunction with the foam roller you will break up fibrin built up around overused muscles and increase tissue turnover. We stock these enzymes and foam rollers here at the office, so come by and pick them up. This day in age, so many people are required to sit at a computer all day at work. Today a dedicated worker tends to be defined as a person who puts in long hours crouched in front of a screen. However, in the 19th and 20th centuries office workers mostly stood and sitting was considered slacking. As scientists are discovering, there are health hazards of sitting for long periods of time, even for those who have active lifestyles. Scientific research has determined that after an hour or more of sitting our body produces less fat-burning enzymes by as much as 90%! Extended sitting, slows the metabolism and lowers the levels of good cholesterol. “There has been an explosion of research in this area because the health care cost implications are so enormous,” according to Dr. James Levine of the Mayo Clinic. There has been extensive development in ergonomic work stations that allow modern workers to stand and even walk on treadmills while at their computer. Standing workstations are an ergonomic must for most people. People should sit less, get up and move around more. My advice to you, get a standing work station and be on your way to a happier and healthier self. I believe everything is best done in moderation; so rotate throughout your day by standing and sitting at your computer if possible. This will allow you to save your health, neck and back from a world of hurt. 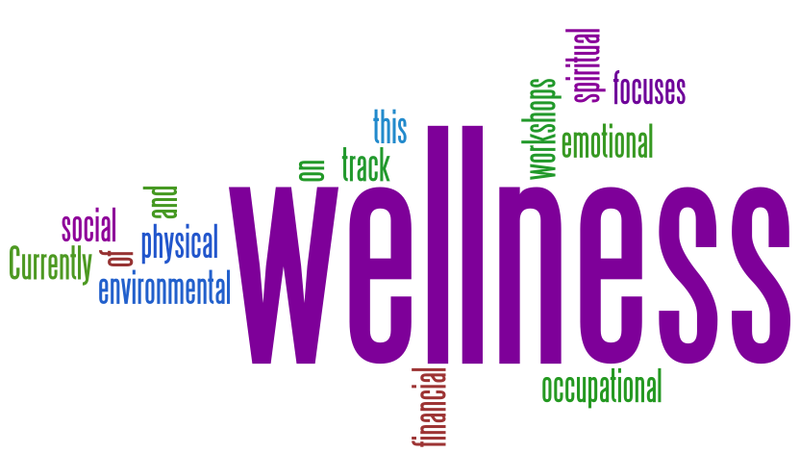 Wellness care is a general term we all have heard but I’m going to explain what it really means. This type of care begins by you taking responsibility for your own health. Everyone has their own unique needs in order to experience optimal well being. This being said, some people need to correct diet and weight issues, while others need to become more physically fit and exercise more. Other people have diseases that are genetic such as heart disease, diabetes, back pain, headaches, etc., and some just want to slow the aging process as much as possible. The point I want to get across to you is that there is no “quick fix”. Below I will discuss a list I have compiled of factors you need to look over and see how they are addressed or not addressed in your own life. 1. Education– Know why you are having pain, discomfort, problems sleeping, weight issues etc. 2. Mobility – If joints and muscles of the body are not operating in their full, normal range or if muscles have become soft from disuse, optimal energy cannot be experienced. These issues are to be addressed by specific training or exercise that can be taught and performed in a home program. 3. Diet- This means eating well, not less and finding the correct balance for you. 4. Vitamins- The American Medical Association came right out and said that “Everyone needs extra nutritional supplements”. This is important considering many prescription medications produce loss of specific vitamin combinations. Many people have also chosen to remove certain foods from their diet but have not considered the need to supplement for the missing nutrients. 5. Body Movement- Do something you enjoy that requires body movement. This doesn’t mean you have to join a gym. Just get out there and move! There is not one activity worse for you than smoking tobacco, but the consumption of excess food and alcohol can become the second worse activity you choose. I enjoy talking with patients during their visits to find out what they are missing in their life in regards to activity, nutrition, vitamins and sleep. Everyone has unique lifestyles so I enjoy helping each patient find ways to make small changes or modifications to their life to improve it. Foam rollers are such a great addition to almost anyone’s routine. I have been using them in my practice and have noticed a faster, more significant improvement in conditions. Patients use foam rollers as a stretching technique, either done at the office or at home for a few days a week complementing their chiropractic treatment. 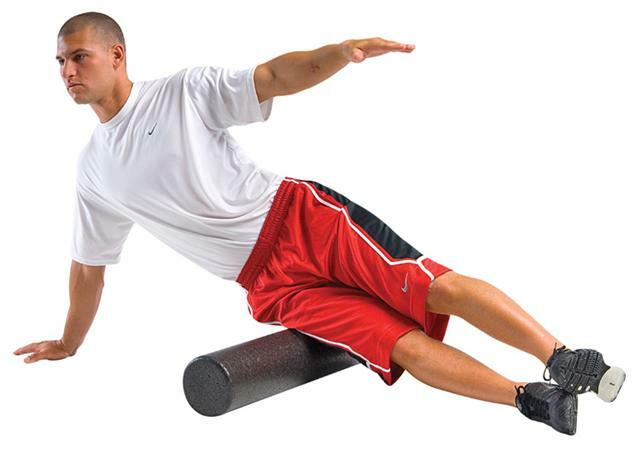 A foam roller is a simple cylindrical pieces of hard foam. You use your own body weight to sandwich the roller between your body’s soft tissue and the floor. By using a foam roller on a regular basis you are helping your muscles become more flexible which can help prevent injuries as well as help stabilize the spine and help correct posture. A foam roller can be best described as SMR (Self Myofascial Release) or otherwise thought of as self massage. Sometimes tight muscles and ligaments are the root cause of a joint region becoming dysfunctional and producing pain and stiffness. I have found that many of my patients suffer from lower back pain and stiffness that are associated with tight hip flexors, hamstrings, IT bands, gluteus, calves, and/or quad muscles. Together the patient and I can find out which muscle group is contributing or affecting their condition and the foam roller can be applied to each problem area. With their dedication to using the roller at home as well as the chiropractic treatment, we are able to fix the problem much quicker than with just traditional stretches alone. Dana Laridaen, D.C. is a Chiropractor. Need a Santa Monica Chiropractor? Consider a chiropractic visit to see me on Ocean Park Blvd. in Santa Monica. Learn more with your Santa Monica Chiropractor in the 90405. Meet Dr. Dana Laridaen today! 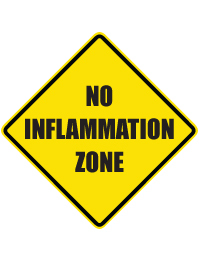 It has come to my attention that many people, including several of my patients, didn’t know certain foods can cause inflammation and other foods can help decrease inflammation. Today I will talk about foods to avoid at times you have an acute injury, have stress,and to prevent inflammation at all times. First of all, many people are intolerant to proteins in wheat and dairy, which if consumed over time with or without knowing you have an intolerance may cause chronic inflammation in the body. as salmon, trout, halibut, tuna, flaxseeds, walnuts, spinach, broccoli, cauliflower, and bell peppers. Some of these items are in garlic and onions as well as non-citrus fruits such as strawberries, blueberries, papaya, apricots, cherries, plums and watermelons. Most Importantly reduce your stress! Reducing your stress can promote anti-inflammation. Also, as you begin eating anti-inflammatory foods you will most likely feel better and be able to deal more effectively with daily stress. The best piece of advice I can give you on this matter is to read the ingredient labels on the food you eat. Look for and avoid items such as sugar, enriched wheat or flour and high fructose corn syrup. I really hope this information helps some of you and your questions with foods to consume and to avoid during time of pain and inflammation. If you are ready to take care of your spine and your health or just want more information please contact me today! Once again, you can live without chiropractic care, but you can live a much better life with it!